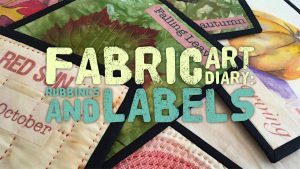 Work along with Linda to make a fabric art diary. During the project she’ll demonstrate a wide variety of techniques you can use to record daily events and inspiration including stamping, stencilling, appliqué and drawing. 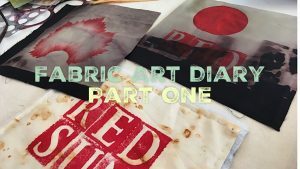 Start a fabric Art Diary with Linda. 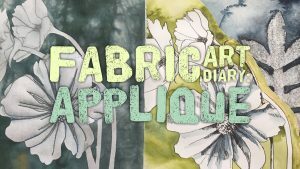 She’ll show you how to make pages using a variety of surface decoration techniques. In this workshop she’ll start by using stencils with fabric pastels and paint, adding text with stamping. 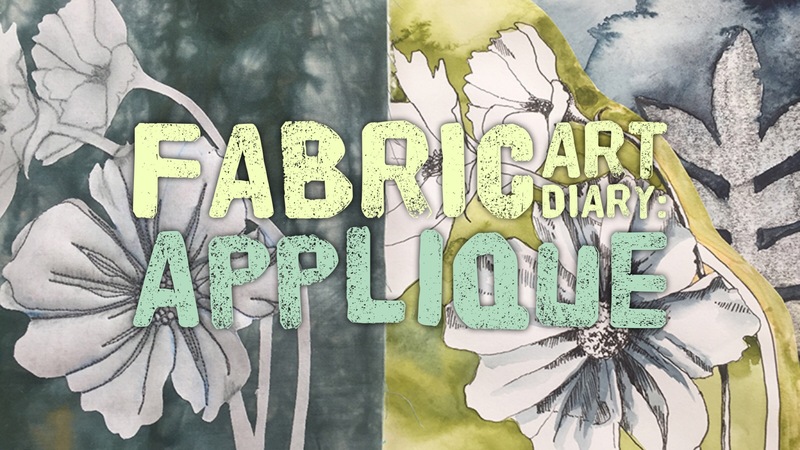 Add more pages to your fabric art diary with Linda. 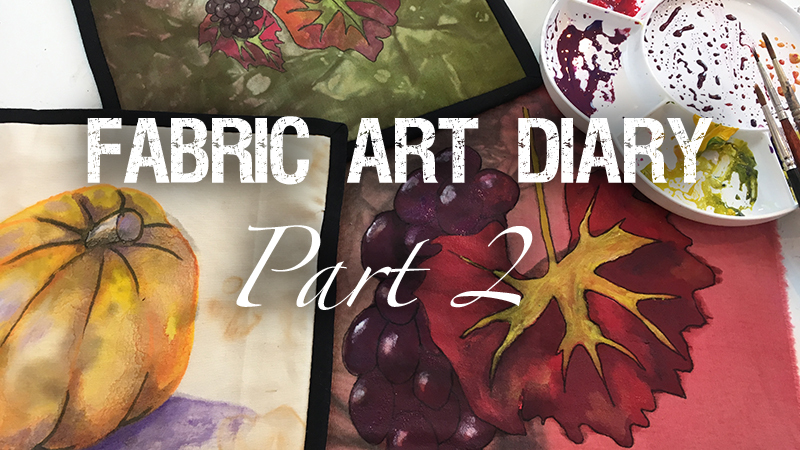 She’ll show you how she’s bound her pages so far and demonstrates how you can use drawing with fabric painting to add images to cloth. Linda’s using autumn vine leaves and grapes as her subject matter, but you can apply the techniques to any subject. 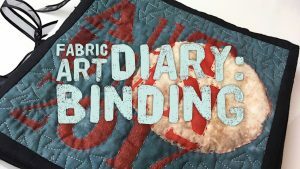 Bonded applique is a wonderful way to add pictorial designs to your fabric art diary. See how Linda’s method enables you to work from a pre-existing drawing, painting or photograph and how you can add painterly detail with drawing and free motion stitch. If you’ve ever tried rubbings on paper, then you’ll know what a fast and fun technique it is. In this workshop Linda will show you how to get the same effect on fabric. Next she’ll show you how she’s adding text to her fabric art diary using printed labels. 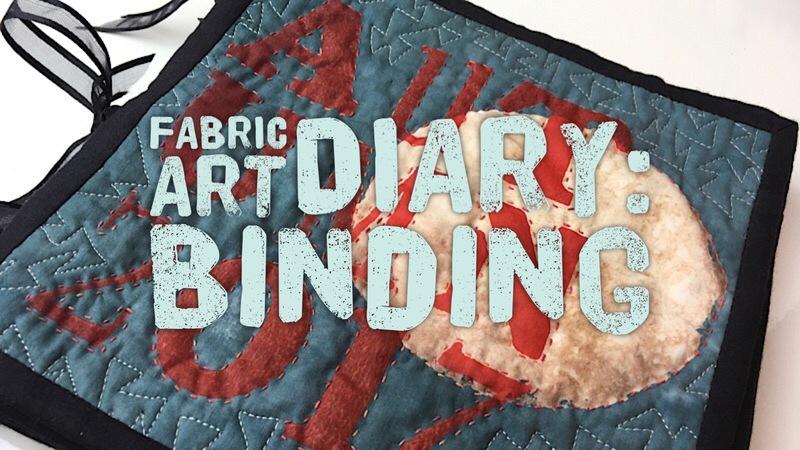 With a stack of lovely pages, now it’s time to think about how to bind the fabric art book together. Linda will show you the method she’s selected which is quick and easy to do and also allows for infinite additions and rearranging of the pages should you feel the need!